It was June 22nd, 1941 when Hitler cut ties with Stalin and began the ill-fated Operation Barbarossa. 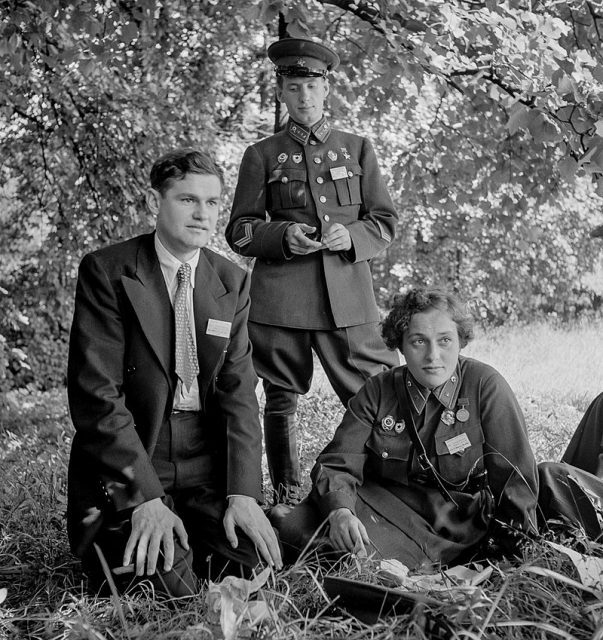 As the German Wehrmacht began pouring across the border, a rather fashionable young woman, Lyudmila Pavlichenko, was studying history at Kiev University, Ukraine. 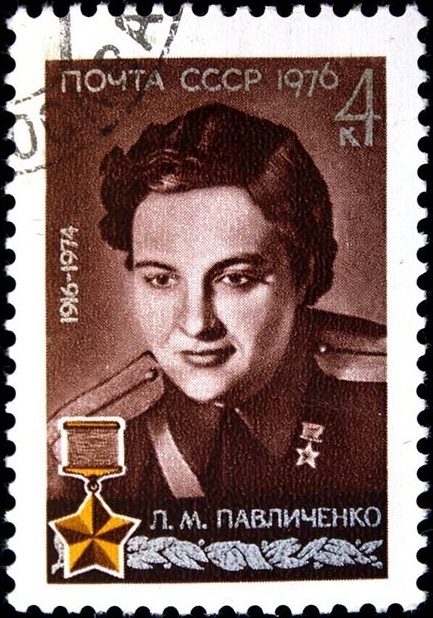 Pavlichenko was determined to put her enthusiasm for rifle shooting into play against the enemy. Born in a small Ukrainian town in 1916, she later moved to Kiev with her family. In 1930, when she was fourteen, Pavlichenko was working in a munitions factory. She gained a reputation for being confident and outspoken. She didn’t like being told what to do. Pavlichenko had been an active member of the Soviet paramilitary youth group, OSOAVIAKhIM, which taught sports and etiquette. She was a natural tomboy and extremely competitive, so when a neighbor’s son boasted about his prowess with a rifle, she took up the challenge. Her marksman certificates and sharpshooter badges from OSOAVIAKhIM alone were not enough. It was only her persistence that finally enabled her to prove her worth to a Red Army Commander. She was taken to the front and handed a rifle. She was told to try and hit two Romanians working downrange with the Germans. Pavlichenko took them both out with ease and was immediately accepted into the Red Army’s Chapayev Rifle Division. The 75th anniversary of the Victory in the Great Patriotic War (an ongoing series of postal stationery envelopes). 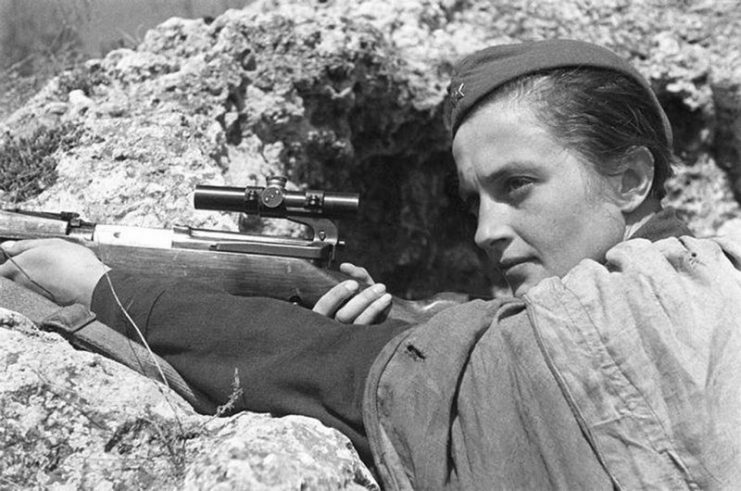 The 100th birth anniversary of Lyudmila Pavlichenko (1916—1974), a legendary Soviet sniper, a hero of the Defense of Odessa and of the Defense of Sevastopol. She was sent out to the Moldovan and Greek fronts where she chalked up an incredible 187 confirmed German kills in her first 75 days in live combat. This kind of warfare saw snipers from both sides positioned between enemy lines and well away from supporting units. They had to remain still for hours at a time in order to avoid detection by other snipers. 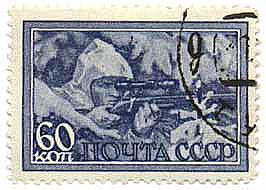 Female sniper Lyudmila Pavlochenko with her rifle in a trench. 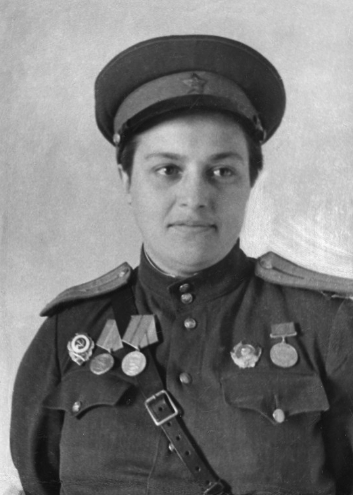 Pavlichenko was moved on to Sebastopol where she dueled with highly trained enemy snipers, eventually tallying 36 kills of some of the deadliest and most highly decorated of Hitler’s men. 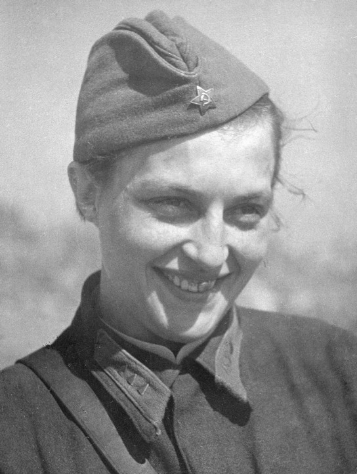 Pavlichenko gained promotion through the ranks due to her fearlessness and extraordinary kill rate. However, it also meant that she became a prime target in battles. The Wehrmacht made her a focus of their artillery and bombing strategies. 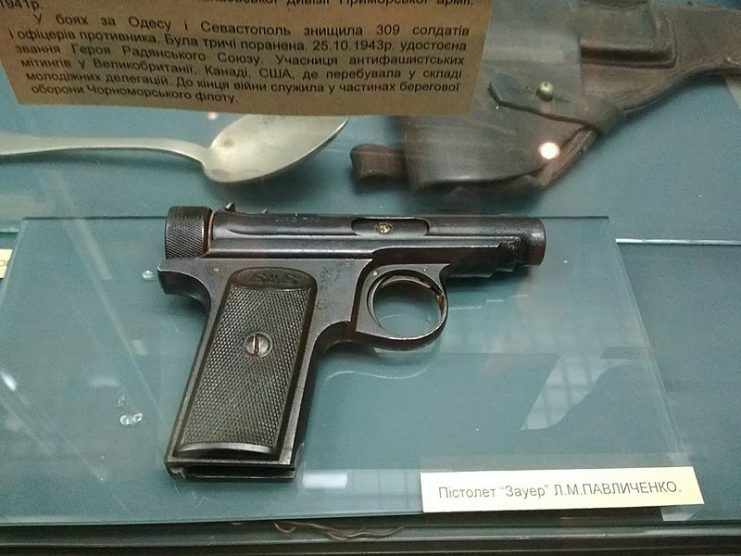 Eventually, after eight months and having been hit in the face with shrapnel from a close encounter with Nazi munitions, Pavlichenko was taken off the battlefield. By then, she had become a key propaganda figure, evoking pride at home and fear abroad. 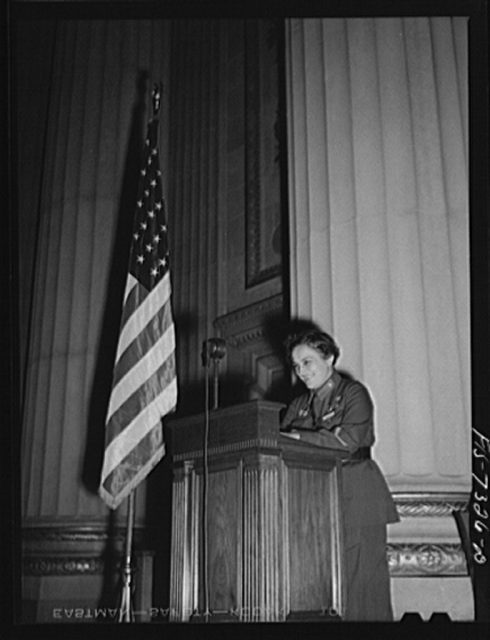 The Nazis had even begun broadcasting personal appeals to her to defect to their side in exchange for comfort and candy. 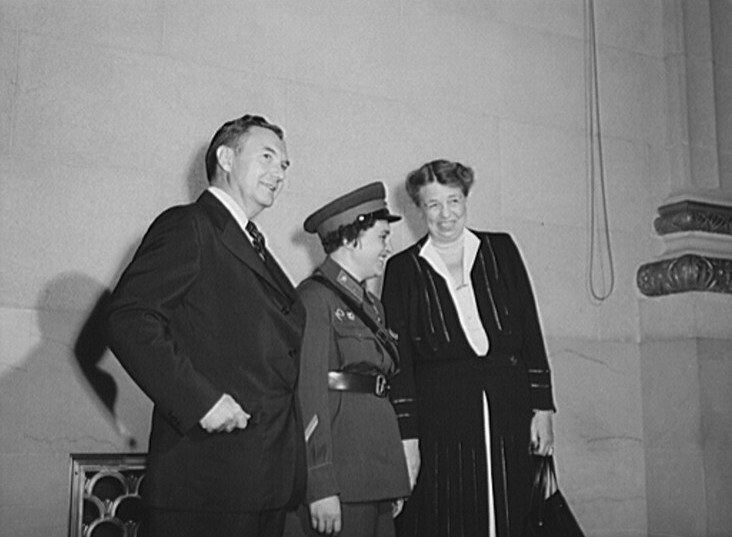 Pavlichenko (center) with Justice Robert Jackson (left) and first lady Eleanor Roosevelt in Washington DC. Instead, she became a sniper instructor for the Red Army. 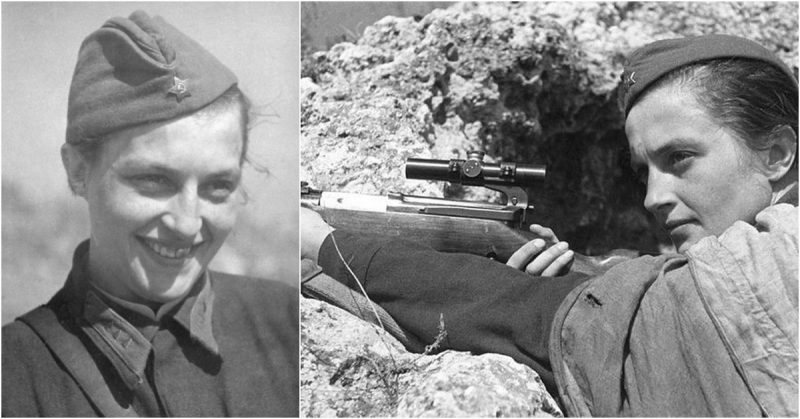 She was one of about 500 surviving female snipers, out of 2,400, who fought for the Red Army during World War Two. Her kill tally of 309 stands as one of the top five tallies. It is likely to have been even higher as confirmed kills had to be witnessed by a third party. During the war, Pavlichenko visited the White House at the invitation of President Franklin Roosevelt. She was unimpressed by the American media’s apparent over-arching interest in her dress sense and whether she wore make-up when she went into battle. After the war, she returned to her studies at Kiev University, achieving a Master’s degree in History.